Harmful algal blooms (HAB) have become a recurring problem, posing severe impacts on marine ecosystems, fisheries, mariculture industry, and even public health. 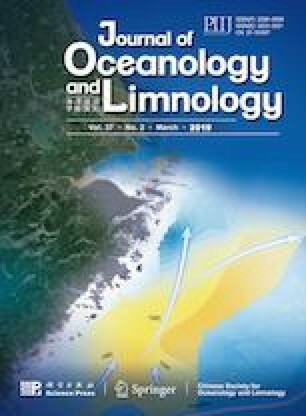 In this study, the geographic information system (GIS) was utilized to determine spatial and temporal characteristics of HAB events in the coastal waters of Guangdong from 1980–2016. We analyzed distribution patterns and characteristics of HABs by dividing the coast of Guangdong into well-known bays, estuary and coastal waters. Results showed that there were a total of 337 HABs recorded in Guangdong coastal waters. Spatial and temporal distributions varied among different regions. Most HABs occurred in the Mirs Bay, followed by the west coast of Daya Bay, while a few occurred in the west and east coasts of Guangdong but with an increasing trend in the past two decades. HABs occurred mostly in warmer months of March to May in the western coast of Guangdong, March and April in Mirs Bay, April in Zhujiang (Pearl) River estuary, November in eastern coast of Guangdong. For Daya Bay, most HABs were reported between March and September. The most frequently occurring HABs species were Noctiluca scintillans, P haeocystis globosa, Skeletonema costatum and Scrippsiella trochoidea, occurring mostly in Mirs Bay, western Guangdong coast area, eastern Guangdong coast area and Zhujiang River estuary and Daya Bay, respectively. Ichthyotoxic blooms were more common than toxic blooms, and Heterosigma akashiwo, Chattonella marina, Karenia mikimotoi and P haeocystis globosa were the most common ichthyotoxic species. Our results provide baseline information useful for policy making and management of HABs in the region.